If you've ever faithfully watched a company go from a small startup to a booming public success, you may have wondered if you could have gotten in on the action early — back when you were one of the few who knew it would go on to do great things. More often than not, it's the angel investors who get in early — the wealthy, early stage investors who bet on a startup in exchange for ownership or convertible debt. For the average investor, this may not seem like an option. 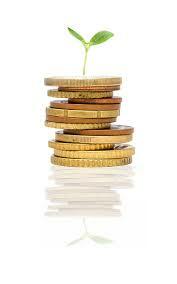 After all, in order to make a significant enough investment in the early stages, a decent sum of money is required. But this is no longer the case. On April 5, 2012, the Jumpstart Our Business Startups Act (or JOBS Act) was signed into law. This law gives average investors powers that they've never had before: It enables the process of crowdfunding. Before, crowdfunding was possible in a very limited sense. The investments would be considered donations, and the investors couldn't legally receive equity shares. Under the JOBS Act, small businesses can raise up to $1 million a year in crowdfunding — or small, compiled investments from multiple investors — in exchange for equity shares. Now, average investors (not just the big boys) can also profit from these promising startups. It doesn't take a rocket scientist to see the appeal behind investing in startup ventures. It's just simple logic: If you want to make landslide profits, you want to get in on something before it becomes valuable. That's why nonaccredited investors like initial public offerings (IPOs). They're the closest thing that you can get for investing in something when it's young. But startup investing allows you to grow alongside a company from the start — not just when it reaches a place of market stability. Investing this way has risk, but it also has the greatest rewards. 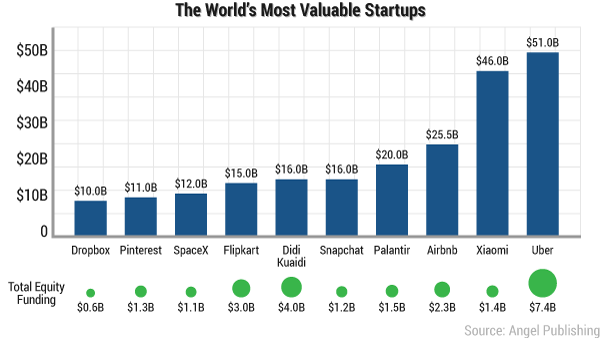 This is why some of the most lucrative investments of the last 10 years have been in startups. Many of these sites connect small investors with startups that they otherwise wouldn't have known about. The easiest way to get involved in crowdfunding is through websites that connect small investors with startups. Others allow you to make angel investments or even smaller investments. If you choose to invest this way, do your due diligence to ensure that your investment is secure and that the site is legitimate. Wefunder is just one of the companies that's helping investors participate in equity crowdfunding. The website screens and then spotlights startups that demonstrate long-term potential. One of the biggest problems with equity crowdfunding is the lack of public information about companies, so Wefunder's screening process is an invaluable tool for investors. Wefunder removes a lot of the guesswork by packaging this information on the website. After 2013, Wefunder investors have been able to actually purchase stocks in startups for the prices of their choice, starting at $100. The average person can invest between $100 and $5,000 in their favorite startups. Accredited investors (who have over $1 million in assets or make more than $250,000 annually) can invest even more, between $10,000 and $250,000. The site allows investors to discuss the companies among one another, and it offers weekly investment videos with tips from professional investors. MicroVentures is a website for angel investors. With MicroVentures, investors can contribute anywhere from $1,000 to $30,000 to a startup company in exchange for equity. MicroVentures acts as an investment bank for peer-to-peer investing. The money is removed from the investor's account upon their contribution and stored in U.S. Bank. If the venture capital target is reached, the money then goes to the company. If not, it is returned to the investor in full. This makes MicroVentures a good choice for investors who are nervous about equity crowdfunding or want to make sure that they are protected against fraud and scams. Investors who are interested in MicroVentures must first complete application questionnaires to see if they qualify before they're approved for investing. In turn, startup companies that are receiving investments through MicroVentures must send semiannual updates to their shareholders. The site acts as a sort of filter to make sure that both the investors and the companies are secure. MicroVentures has helped now-public companies like Facebook (NASDAQ: FB) and Yelp (NYSE: YELP) raise capital. You can learn more about MicroVentures here. SeedInvest is another crowdfunding platform that rose to power after the JOBS Act. SeedInvest allows investors to pursue profits alongside top venture capital firms and angel investors. But smaller investors don't need to inject the same amount of capital. Investments start as low as $500 and move up from there. SeedInvest offers investors more security than they would have going out into the world of crowdfunding alone. All the businesses on the platform are screened by a team of former startup investors. These startup investors use their collective experience to decide what companies have the best long-term growth. And only 1% of the companies that applies ends up being accepted onto SeedInvest. If none of these sites seem right for you, keep looking — there are plenty more out there. And if you want to get even more involved, you can try joining an angel network. Look around for one that's closest to you. Angel networks consist of small groups of investors who are interested in raising investments for startups, and they often meet in person to get a feel for the companies and to discuss investments. The Baltimore Angels Network, for example, meets one Tuesday a month, and investors pay an annual fee of $250. The group invests in companies with pre-money valuations of $500,000 to $5 million and that seek to raise between $50,000 and $1 million. You can also attend networking events on your own where you'll meet the people behind startups and get involved with the small businesses in your community. Make sure to do your own due diligence in deciding what is best for you. Since less information is readily available with these types of companies, investing in startups requires a lot more research than investing in publicly traded companies. And the risk is certainly higher. But if it's ever appealed to you, there are plenty of ways for you to start getting involved. Every year, it seems, regardless of what the market does, one class of investors just keeps raking in more net worth than any other, while everyone else is left to envy. Here's your invitation to join that investing class. Yet another tech company experiences a successful first day of trading. Software company Cloudera went public on April 28, 2017. The solar industry has an efficiency problem, and after over a half-century of technological stagnancy, the solution could be just around the corner.